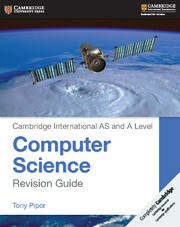 Cambridge International AS and A Level Computer Science provides a set of resources to students and teachers following the Cambridge AS and A Level syllabus (9608). It delivers clearly written information to help develop the theoretical and practical skills required by the course, with a clear progression of tasks that consolidate and develop knowledge. 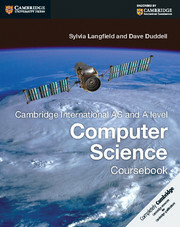 The coursebook offers students detailed descriptions of the concepts, reinforced with examples that outline complex subject matter in a clear way. 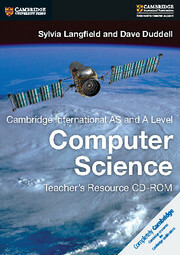 A teacher resource and revision guide are part of this set of resources.